Visit or compete in the 3rd Annual Nepal Mission Car -Truck - Bike - Jeep Show. 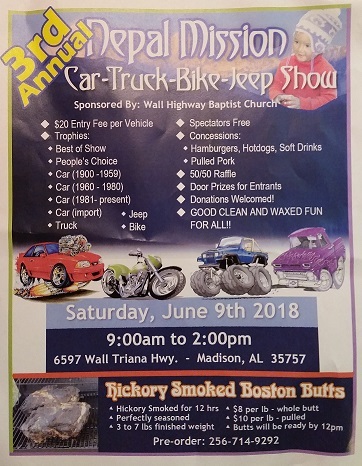 Show is sponsored by the Wall Baptist Church. The show will be on Saturday, June 9, 2018. 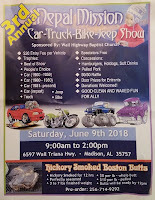 Location: 6597 Wall Triana Hwy., Madison, AL 35757. See flyer for more details.